Licensed in both aesthetics and nails, Holly graduated from St. Cloud Beauty College in November 1990. She quickly found her passion and began her career exclusively in nails in 1991. 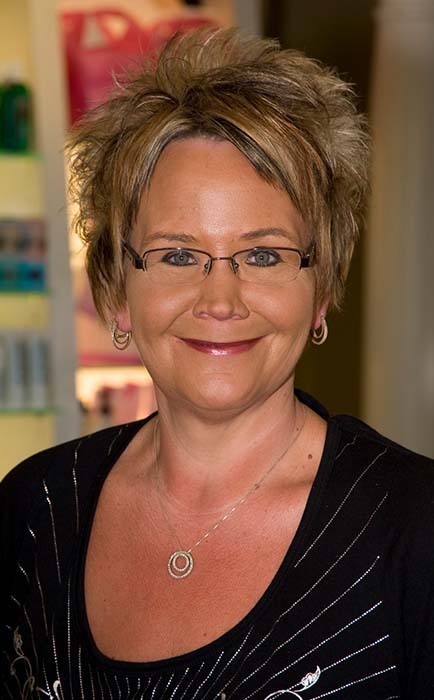 In August of 2004, Holly joined the Simonson’s Salon & Spa team as a Nail Technician. As her experience grew, she identified that sharing her knowledge with others was a desire she needed to fulfill. In summer of 2014, Holly embraced the opportunity to join Simonson’s Education team in a role that helps support, promote and grow the nail department. “Everyone has a story to tell, a lesson to teach or wisdom to share. Life is a beautiful masterpiece bound together by experiences. Open up and share your story, become an inspiration to others – you can make a difference because you matter. Live your life with intention, go out there and make a difference by being the difference.” –Melanie Koulris. Holly lives and breathes these words each and every day, making her an inspiration to everyone on the Simonson’s team.